Poste Lafayette occupies an idyllic location on the northeastern Coast of Mauritius. Long considered an area of outstanding natural beauty, Poste Lafayette’s breathtaking scenery has become much loved by holidaymakers and locals alike. The pristine white sand gently washed by the warm waters of the Indian Ocean make this up-and-coming resort one of the best corners of paradise on the island. 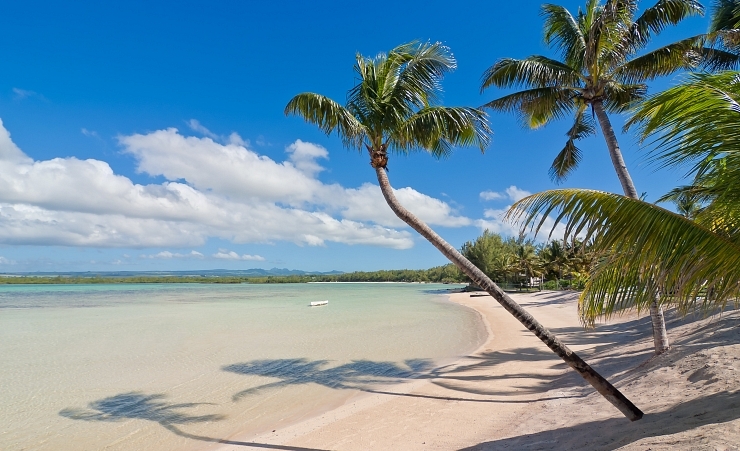 Mauritius has a tropical climate, with moderately high temperatures and humidity all year around. Although they do reach the mid-30s, temperatures never rise to such high levels that they become unbearable. The wettest period is from January to March, during these months cyclones may pass nearby giving occasional heavy rain and wind. But, May to November are much drier. For those wanting to experience more of Mauritian life while on holiday in Poste Lafayette, the nearby village of Flacq with its popular market is only a short distance away.It is also home to the Sagar Shri Mandir Hindu Temple that is still a place of worship but is also open to visitors. Flacq Market is also a must see when in the village as it has many local stalls with fresh produce and Mauritian souvenirs. Visit the Bras d’Eau National Park while in Poste Lafayette, too. Not only does it have many different species of plants and flowers, you may also spot some rare bird species. While in the national park, check out Mare Sarcelle, a large body of water that is also home to mangrove swamps and orchids. Poste Lafayette Beach is surrounded by volcanic rock creating a unique shoreline, and due to its location on the coast, it is the perfect spot for surfing and kitesurfing. The white sand and mostly unspoilt beach is in a secluded area meaning this beach doesn’t bring a big crowd. Bras d’Eau Public Beach and its glittering sand make it the perfect spot for a picnic with a view. The clear blue waters are close to the coral reefs making swimming inadvisable, but this also means it is generally a quiet spot to relax. Roches Noires Beach is full of fine sand and clear waters with waves that tend to crash into the shore. The top restaurant to visit in Poste Lafayette is the Sunshine Fusion restaurant, serving all different cuisines in an elegant dining atmosphere. It is also the only restaurant on the east coast of Mauritius to offer free delivery - a perfect night in and night out! Most of the nightlife in Mauritius is located on the north coast. Poste Lafayette is a place for water sports and relaxation. One thing not to be missed in Poste Lafayette is the flora and fauna the ocean has to offer an ad snorkelling or scuba diving trip into the waters is a must-do when in Mauritius. Above the surface, Poste Lafayette offers the usual host of watersports including water skiing and glass bottom boat tours. The nearby golf courses in Poste de Flacq are rumoured to be some of the finest in Mauritius. Some of the hotels in Post Lafayette have their own spas and treatments can be booked even if you aren’t staying in the specific hotel. Buses are available in Mauritius to get you from one resort to another and one village to another. Taxis are also available and can usually be organised from the hotel front desk, do try to negotiate a price before travel as some do not have meters running. Why holiday in Poste Lafayette?